Living in a place like New York city allows you to witness so many different things. Just by walking around for one hour you can see so many different cultures, people, ways of life, and diversity. One major difference I saw while walking around in Bed-Stuy Brooklyn was the diversity between the rich and poor. Over the past few years Brooklyn has been the mecca of gentrification. My older sister’s boyfriend lives in a newly built apartment building, it has a clean appearance and most residents are mostly young, white, and seem to be more affluent; I know for sure that my sister’s boyfriend makes well above average salary. However on the other side of the street you see older building looking dirtier on the outside and poorer residents. I observed that In the building across the street there were more minorities and people of color. The same goes for the stores and restaurants around the block; on one hand you have these cute trendy restaurants, coffee shops, and boutiques and on the other you have rundown bodegas, and stores like Conway or other discounted clothing stores. It made me think how does one side of the block live so nicely and just walk passed their neighbors across the street like there’s no issue? I remembered sleeping over on the fourth of July at about 3 or 4 in the morning there was yelling across the street, I looked at my sister’s boyfriend confused as he just sat there and continued to clean his apartment like it was normal. 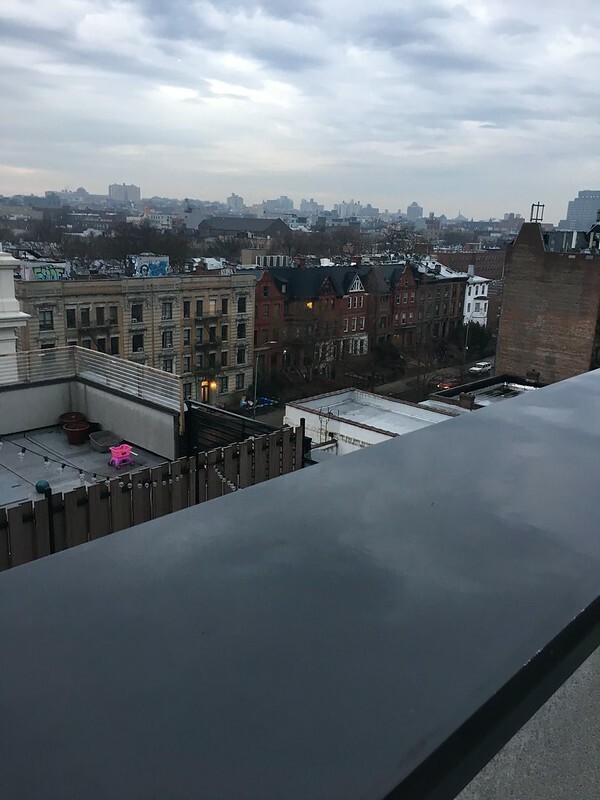 As i continued on my walk I thought about how quickly Brooklyn had transformed to a dangerous and “ghetto” place to a new and hip place to live, There was tons of construction and renovations of new apartments, restaurants, and stores. I also thought about the families that used to live in the new building before they became new. Where the poorer people there now struggling because of how hiked up the rent was? Unfortunately the answer was most likely yes. In some ways the development of this neighborhood can have a positive outcome, a better crowd would mean decreased crime rates, a safer community,better school systems, better funding from the city, ect. However it could also have a negative effect on the original residents such as; higher overall cost of living, higher rent, higher taxes, and maybe even discrimination because they have less money. In the next five years, I expect for there to be many more changes to this neighborhood in Brooklyn. The differences between the rich and poor in this neighborhood will continue to grow. 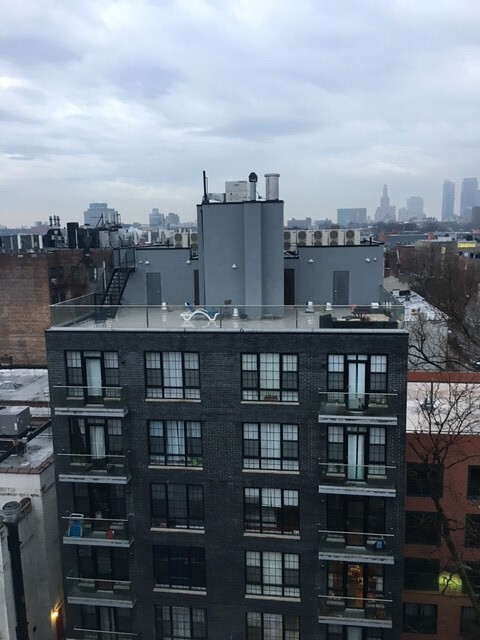 While Bedford Stuyvesant is becoming a new and improved neighborhood, unfortunately it is becoming less and less affordable for those who once lived there. A view of the neighborhood from the roof of the apartment. To one side you see a rooftop (usually decorated nicely) and to the other we see graffiti and older buildings. A nicer and newer apartment building with balconies, and a rooftop area. 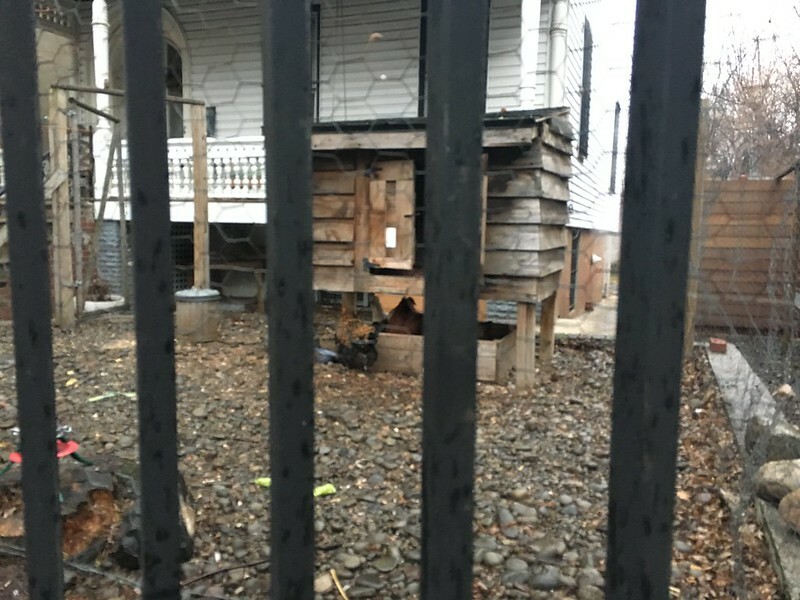 An older more rundown house, with a chicken coop in the front yard. Apparently, these neighbors raise chickens and sell eggs. This is a real smack in the face for BDUK as FOD was the means to overcome the shortcomings of the cabinet.